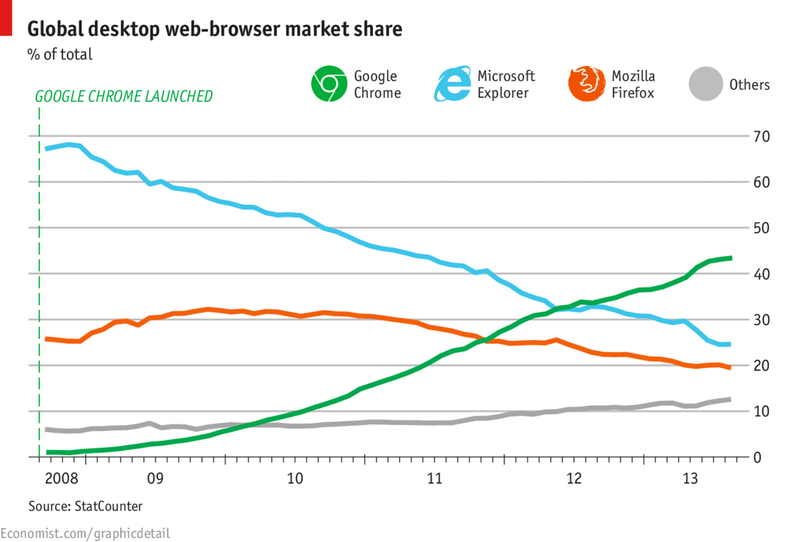 This graph from the Economist (Daily Chart - Browse beaten) shows how many Internet Explorer users have migrated to Chrome. Chrome is now responsible for about 43% of all the web traffic generated by the world’s desktop computers. When Chrome was launched the dominant browser was Microsoft’s Internet Explorer (IE), with a 68% share—it is now down to just 25%. The penetration of Android on mobile phones and now tablets will surely increase this dominance.